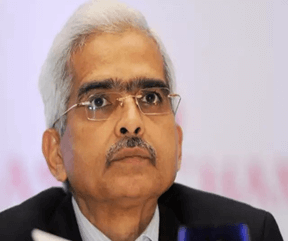 The Government appointed Mr. Shaktikanta Das, as the Governor of Reserve Bank of India for a period of three years. The Appointments Committee of the Cabinet approved Mr. Das’s appointment for a three­year period. Accordingly, the order was issued by the Department of Personnel and Training to this eﬀect. Das was the face of the Government during the demonetization exercise and used to brief the media almost on a daily basis during the period November 9 and December 31, 2016. He has been on the RBI board in his capacity as the DEA Secretary and the DEA is seen as the bridge between the Finance Ministry and the RBI. Das is a post­graduate in History and was involved in the preparation of over a half a dozen Budgets during the present and previous Governments. He was also instrumental in preparing the ground for the Goods and Services Tax (GST). Das hails from Odisha and is a Tamil Nadu cadre IAS oﬃcer, and retired after 37 years of services. Post­retirement, the Centre appointed him as the Sherpa for the G-20 summit and also nominated him on the 15th Finance Commission. On previous occasions, IAS officers like D Subbarao, Raghuram Rajan, YV Reddy, RN Malhotra, and S Venkitaramanan were also appointed as Governors who were Civil Servants.